A gutten Shabbos fur de ganze oilom fun Bavel! The government decided last week that it would extend the traditional six-hour Iraqi workday to make up for the additional day off.Many Iraqis went to work on Saturday anyway, saying they did not want to rest on the day when the Jews rest. They are demanding that the additional day off be Thursday instead. A statement released by the student union at Baghdad’s Mustansariyah University described the government order as forcing “the Zionist holiday” upon Iraqis. The statement also said the decision had been made by an interim Iraqi government, and not the permanent one. "We declare a general strike in the University of Mustansariyah to reject this decision and any decision aimed at depriving Iraqis of their identity," the statement said. In Samarra, one of the four Islamic holy cities, about 77 miles north of Baghdad, a group of armed men forced the Mutawakal high school to open, threatening to kill the school’s teachers if they took the day off.Students chanting "we don't want Saturday, it's a Jewish holiday" marched through the town of Baqouba, northeast of Baghdad. Crush my enemies in anger and fury. Repel my enemies, Oh zealous God. Observe the Sabbath, your sacred day. Housing Minister Yitzhak Herzog, a member of a Conservative synagogue in Jerusalem, told the Conservative movement in Israel he will work for equal financial assistance to all streams of Judaism. Herzog, who a few years ago tried to arrange for mixed prayers at the Western Wall, told the Conservative movement he has had "a special connection for several years with the Conservative stream of Judaism." He added he will continue to try to find "reasonable solutions" to establish conservative prayer services at the Robinson's Arch near the Western Wall Plaza.When Herzog was cabinet secretary during the government of Ehud Barak, he established a committee to work towards egalitarian prayer services at the Wall, considered the most holy site where Jews are allowed to pray. The committee also was to examine the issue of conversions.Orthodox rabbis make up the membership of authorized governing bodies on matters of divorces, marriages, burials and conversions. The Conservative and Reform movements have been lobbying for several years to allow their rabbis to share the authority in official state institutions.Orthodox Jews make up the vast majority of religious Jews in Israel, but the Reform and Conservative movements have been growing. The Conservative branch began in 1979 and has grown from 15 to 50 communities throughout the country, establishing synagogues on major university campuses.Herzog was invited to address the annual Israeli Conservative movement's convention on Sunday, but wrote that he regretted he was unable to attend. I have said it before but it requires repeating: The Reform and Conservative "streams" are apostate. How can I say such a thing? Ask yourself this: Even with their philosophical differences Catholicism and Protestantism both agree on Jesus, the New Testament, etc. Is there a Christian sect out there that negates Jesus or the New Testament and is considered legitimate? Sunni and Shiite Islam also disagree, but both agree on the fundamentals: Muhammad as prophet and the Qur'an. Is there a Muslim sect out there that claims that Muhammad was not a prophet or that the Qur'an is false? I think not. Yet we, as American Jews, have been lied to. For you see, Reform and Conservative Judaism reject the Torah and the Talmud as divine writings and they reject some if not most of the Mitzvot. This is not Judaism. A true "stream" of Judaism is Hassidism. Hassidim believe in G-d, Torah and the Oral Law. Reform and Conservative do not. End of story. The Gedolei Ha-Dor are calling to us. Are we prepared to heed the call? Holy bothers and sister... Step up and speak out! In speeches and in open letters, respected rabbis and Hassidic leaders are calling upon Jews the world over to join the struggle against the government's plan to withdraw from parts of the Land of Israel. In coming days, the Pikuach Nefesh organization, made up of rabbis opposed to relinquishing Israeli territory, will publicize a strongly-worded open letter calling upon rabbis and Jewish leaders worldwide to put pressure on the Israeli government not to carry out the uprooting of the Jewish communities of Gush Katif and northern Samaria. Referring to "those who reject the desirable land and the Torah who, under pressure from the inheritors of the ancient spies and their emissaries - the media - are about to expel Jews from their homes," the letter calls the Disengagement Plan a "desecration of G-d's name and of the name of Israel in the eyes of the world" that endangers the lives of the Jews throughout Israel. Among the leading signatories of the letter are former Sephardic Chief Rabbi Mordechai Eliyahu, head of the Kisei Rachamim Yeshiva of B'nei Brak, Rabbi Me'ir Mazuz, Rabbi Binyamin Zilber of the United Torah Judaism (UTJ) Torah Sages Council , the Sadigerer Rebbe, and the Bostoner Rebbe, with other rabbis expected to sign in the next few days. Rabbis David Drukman and Yosef Gerletzsky head Pikuach Nefesh and are coordinating the publication of the open letter. Rabbi Yaakov Yosef, son of the spiritual leader of the Shas movement, Rabbi Ovadia Yosef, issued a similar call at a large rally in Jerusalem on Thursday night. The rabbi said that no Jew is free to shirk his responsibility for the current situation, and that every Jew must take part in protesting the government's plans to evacuate the Jews from Gaza and Samaria. Rabbi Yosef decried the government specifically, saying that it "began its term with attacks on the Torah of Israel" - an apparent reference to the influence of erstwhile coalition member party Shinui - and now seeks to "ruin the Land of Israel," and is doing so with the votes of the Left and the Arabs. As Rabbi Yaakov Yosef was ill, his son Yonatan read the rabbi's statement to the thousands gathered for the rally, which was sponsored by Chabad-Lubavitch, at the National Convention Center last night. Also speaking at the Jerusalem rally was Rabbi Shalom Wolpe, chairman of Chabad's Center for Protecting the People and the Land. He emphasized that the Chabad movement is known for its unconditional love, as per the Lubavitcher Rebbe's instruction, and therefore only wishes the prime minister and his ministers well - "back at their homes." The struggle, he said, is not personal, but is over the path to ensure the survival of the people of Israel. Rabbi Wolpe repeated the late Lubavitcher Rebbe's warning that relinquishing territories in Israel endangers the millions of Jews who live here, saying that the residents of Sderot, Ashkelon, Hadera and Afula need to know that the Palestinian Authority's Kassam rockets, and worse, are on the way. Check out the side bar for some new links. Enjoy! Great site. Thanks to Hasidic Gentile for making it known. Lo BiYadeinu! The Temple Mount today. [17:104] And We said thereafter to the Children of Israel, "Dwell securely in the land of promise"
[10:93] We settled the Children of Israel in a beautiful dwelling-place, and provided for them sustenance of the best: it was after knowledge had been granted to them. [17:104] And we said to the Children of Israel afterwards, “ scatter and live all over the world…and when the end of the world is near we will gather you again into the Promised Land”. I don't get it. Mosques and churches are left unmolested by Jews in Israel. This is our holiest site and we can't even close our eyes and saya prayer? א וְאַתָּה הַקְרֵב אֵלֶיךָ אֶת-אַהֲרֹן אָחִיךָ וְאֶת-בָּנָיו אִתּוֹ, מִתּוֹךְ בְּנֵי יִשְׂרָאֵל--לְכַהֲנוֹ-לִי: אַהֲרֹן--נָדָב וַאֲבִיהוּא אֶלְעָזָר וְאִיתָמָר, בְּנֵי אַהֲרֹן. 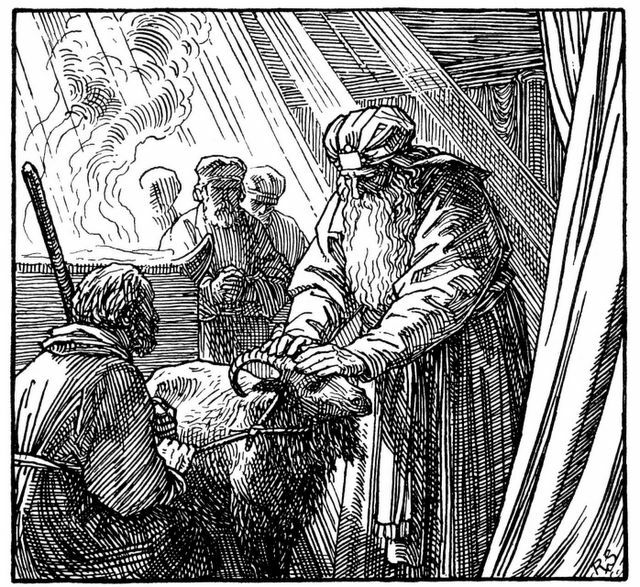 "And bring near to yourself Aaron your brother, and his sons with him, from among the children of Israel, that they may minister unto Me in the priest's office..."
This is the first commandment of the sanctification of the Kohanim, the descendants of Aaron. It then goes on to describe the special clothing that needed to be made for the Kohain Gadol (High Priest) and the regular Kohanim. 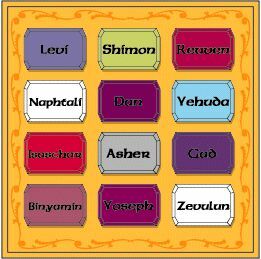 One of the coolest (in my opinion) vestments is the "Choshen" or breastplate that had twelves stones on it for the twelve Tribes of Israel (see picture above). Inside was placed a parchment called the Urim V'Tumim which would cause the stones to light up when the a question was asked of G-d. Kind of the world's first supercomputer. When the Jews were exiled from their land, first by the Babylonian Empire about 2,500 years ago and then by the Roman Empire 2,000 years ago, the great rabbis and scholars of the mishnah and Talmud instituted the policy that each synagogue should replicate the original ancient Jewish temple and that it be constructed in such a way that all prayers in the siddur (prayer book) be recited while facing Jerusalem, as that is where the ancient temple stood and it was the only permissible place of the sacrificial offerings. Thus synagogues in Europe face south; synagogues in North America face east, countries to the south of Israel, such as Yemen or South Africa face north; and those to the east of Israel, face west. Even when in private prayer and not in a synagogue, a Jew would have to face Jerusalem as mandated by Jewish law compiled by the rabbis in the Shulkhan Arukh. In a secular age, this may be hard to grasp, but during all the centuries and millennia when the majority of the Jewish people were practicing Judaism, and those who still do so to this day, the very "existence" of Jerusalem is not just a key "place" in the world, but is also the "center" of religious experiences, constantly reinforced by prayers and rituals. "Have mercy Lord our God, on Israel your people, on Jerusalem your city, on Zion the resting place of your glory, on the monarchy of (King David) your anointed, and on the great and holy (Temple) house upon which your name is called...Rebuild Jerusalem, the holy city, soon in our days. Blessed are you God who rebuilds Jerusalem in his mercy, amen." "...Have mercy, Lord, our God, on Israel, your people; on Jerusalem, your city; and on Zion, the resting place of your glory; upon your altar, and upon your temple. Rebuild Jerusalem, the city of holiness, speedily in our days. Bring us up into it and gladden us in its rebuilding and let us eat from its fruit and be satisfied with its goodness and bless you upon it in holiness and purity. For you, God, are good and do good to all and we thank you for the land and for the nourishment..."
The saddest fast-day on the Jewish religious calendar is the Ninth of Av when Jews traditionally spent the day crying for the loss of their two Holy Temples and the destruction of Jerusalem. This major (24 hour) fast is preceded on the calendar by two minor dawn to dusk fast days, the Tenth of Tevet mourning for the time Babylonia laid siege to the First Temple, and for the tragedy of the Seventeenth of Tammuz when Rome broke through the outer walls of the Second Temple. The words used when Jews console any mourner during the customary Seven Days of Mourning are: "May God comfort you among all the mourners for Zion and Jerusalem"
There was even an ancient custom to leave a patch near the entrance to one's home unpainted as a remembrance of the destruction (zecher lechurban), of the temples and Jerusalem. 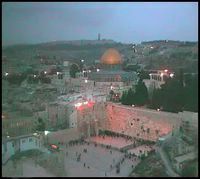 The sacredness of Jerusalem has never lapsed for Jews and Judaism, and this is illustrated by the fact that Jews consider the Temple Mount to be sacred ground to the very present as it is remembered and acknowledged as the exact spot of the Holy Temples. 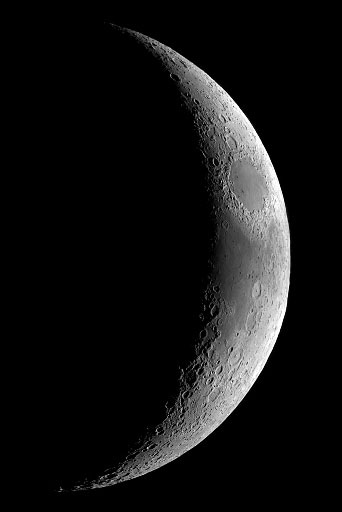 On that night, the night of the Isra and Mi'raj (Rajab 27), Muhammad is believed to have been taken by the flying steed Buraq to visit Jerusalem, and thence heaven, in a single night. Many Muslims celebrate its anniversary with gatherings and feasting, although Wahhabis and several other groups take the position that no regular festivals are permissible except the two Eids. Several hadiths refer to Jerusalem (Bayt al-Maqdis) as the place where all mankind will be gathered on the Day of Judgement. Me: Notice the name in the Hadith? Sound like anything from Judaism? Bayt al-Maqdis = Beit HaMikdash (the Jewish Temple). 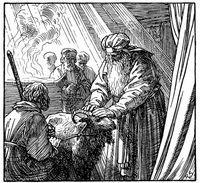 Also, David and Solomon as prophets of Islam? Hmmmm. Yet they deny any Jewish claim to the city. How very odd. http://www.arutzsheva.com/news.php3?id=76730 and click on the link in the article. "Just one day before the summit in Sharm el-Sheikh, a different sort of meeting of the minds convened in Jerusalem – the reestablished Sanhedrin convened to hold their monthly meeting. 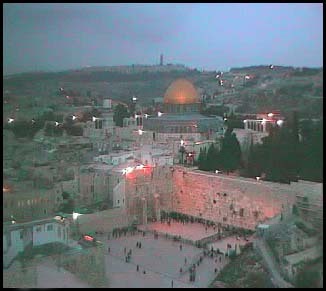 The major issue that was set before the group's consideration in this session was a discussion of the precise location of the Holy Temple.The recently reestablished Sanhedrin of 71 rabbis and scholars convened Monday in Jerusalem to solidify logistical aspects of the Jewish legal body and hear expert testimony on the various opinions as to the exact part of the Temple Mount upon which the Holy Temple stood." "MiShenichnas Adar Marbim B'Simcha!" One should increase his/her joy when Adar begins. Adar is the happiest, most joyous month of the Hebrew calendar. In fact, its motto is "When Adar comes, joy is increased." The abundance of joy in Adar is primarily due to the presence within the month of Purim. That holiday commemorates the salvation of the Jewish People from a genocidal plot by the wicked Haman, whereby he hoped to destroy the Jewish People, G-d Forbid, completely. Because of our fasting and repentance, we were able to have that heavenly decree, if not the earthly one, torn up (a decree of Achashverosh could, of course, never be rescinded). 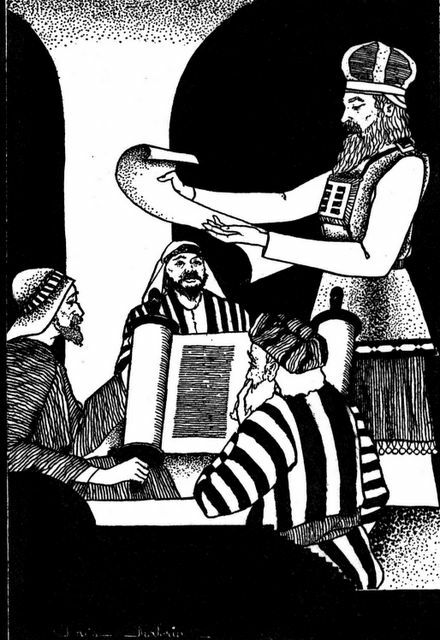 Haman achieved the result, thank G-d, of having his plot overturned ("venahapoch hu," "it was overturned" - a theme of Purim) upon himself. Our last picture of him and his ten sons are of them dangling from the very gallows which he had prepared for Mordechai, a leader of the Jews. Even though we are instructed in Pirkei Avot (Chapter 4, Mishnah 24) by Shmuel HaKatan, "When your enemy falls, do not be happy, and when he stumbles, let your heart not rejoice," an exception is made in the case of Haman. He represents the spirit of absolute (or nearly absolute) evil, as did his infamous ancestor, Amalek, founder of the nation which attacked the weakest of the Jews on their way out of Mitzrayim. Then the Jewish People were fresh from the Miracle of the Splitting of the sea, and their faith was still fragile, while fear of the Jews and of the awesome might of their G-d was universal among all the other nations of the world. Please feel free to post a quick message on our new Tag Board located on the bottom of the side bar. Enjoy! "And let them make Me a sanctuary, that I may dwell among them"
Should we be offering Sacrifices today? MAMLEKHET KOHANIM V’GOY KADOSH: A KOHANIC KINGDOM? You need Adobe Reader to see it. Enjoy. 2) Not even to speculate that there might be a god other than G-d.
5) To have fear of G-d.
6) To sanctify G-d's Name. 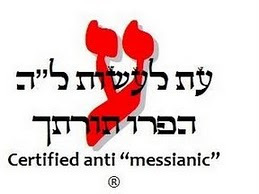 7) Not to desecrate G-d's Name. 8) Not to destroy things on which G-d's Name is written. 9) To listen to a prophet who speaks in G-d's Name. 10) Not to test G-d.